We're very honoured to be featured in IEEE Software Impact Series as their "first column from the tiger economy of Singapore". In it we discuss the issues facing email in 2017, and how they can be resolved by a new approach to legitimate sending. There's also a detailed technical breakdown of the software and distributed platforms used to achieve it (if you're into it!). 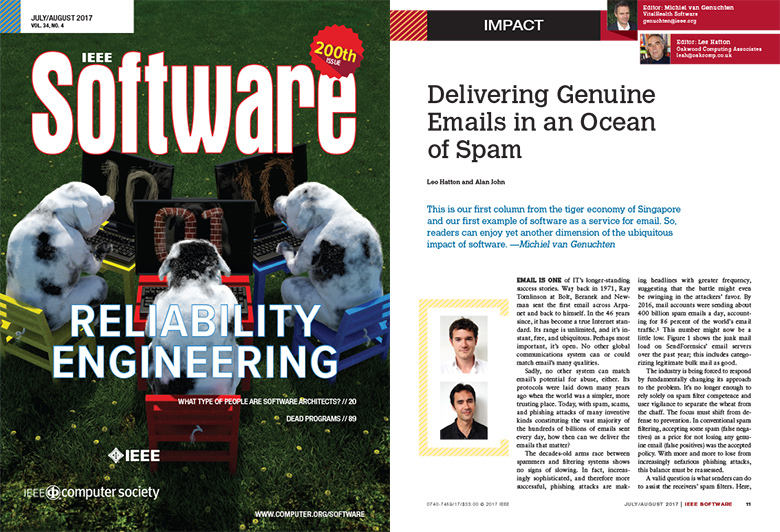 On that note, if you are involved in the nuts and bolts of software in any capacity we would highly recommend subscribing to what is one of the world's leading journals for software engineering.